Arrow Electronics is developing a new and exclusive single-chip system module (SCM) that simplifies the use of NXP’s i.MX 6 applications processor in IoT devices, wearables and smart-home technology, where space is tight, energy is precious and time-to-market is critical. 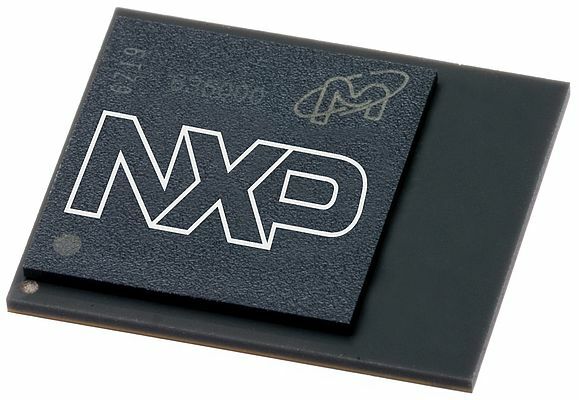 Arrow Electronics is working in team with NXP Semiconductors. Building on NXP’s DDR-ready i.MX 6SoloX, i.MX 6Dual and i.MX 6Quad SCMs, Arrow’s modules come with pre-stacked LPDDR2 SDRAM, and are ready to use. This solution takes away the challenges of DDR-integration usually handled by SCM users, and maximizes the SCM’s inherent advantages of power-efficient performance and the integration of up to 100 passive discrete components to help minimize footprint and to simplify and accelerate system design. These SCMs include PF0100 Power-Management IC (PMIC), enabled out-of-the-box for advanced system power management. Additionally, the i.MX 6Dual and i.MX 6Quad SCMs include 16Mbyte of SPI NOR-Flash for additional system integration and security. The pre-stacked modules, only available from Arrow, have compact dimensions of just 14mm x 17mm (i.MX 6Dual and i.MX 6Quad SCM) and 13mm x 13mm (i.MX 6SoloX SCM), with LPDDR2 SDRAM attached. In the case of the i.MX 6SoloX SCM, a configuration with eMMC and LPDDR2 SDRAM is available. Three temperature grades are available, specified for 0°C to 85°C, -40°C to 105°C, or -30°C to 85°C, allowing use in a wide range of consumer and industrial products, such as audio-streaming devices, gaming devices, wearable medical and industrial products, medical and IoT gateways, industrial and building control panels, and mobile communications equipment. Customers can specify the i.MX 6 with up to four ARM® Cortex®-A9 cores running at speeds up to 800MHz to satisfy a wide range of application-processing demands, and they can also take advantage of i.MX 6 features that support sophisticated connectivity, multimedia or HMI functionality. These include powerful 2D and 3D graphics, 1080p video support, MIPI display and camera interfaces, as well as USB, FlexCAN and Ethernet ports. The i.MX 6 also has extensive security features including random number generation, cryptographic cipher engines and tamper prevention for establishing a hardware root of trust in connected applications. The i.MX 6SoloX SCM has additional low-power processing capabilities through the integration of an ARM Cortex-M4 core running up to 227MHz. Further support for developers includes evaluation boards that make design starts fast, easy and affordable. All software and firmware needed to start application development is also provided, including board-support package stacks validated for Yocto Linux and Android. The modules are delivered as fully tested and software-enabled platforms, supplied and supported by Arrow through its international network of sales offices and field applications engineers.